Anyone want this thing? Just thought I'd offer it here first before it goes on Trademe. It's a great semi-modern system for interfacing with old gear. Dell Inspiron 4150 - circa 2003 "vintage"
Built-in modem(! ), ethernet, and wifi (installed in the internal mini-PCI slot). 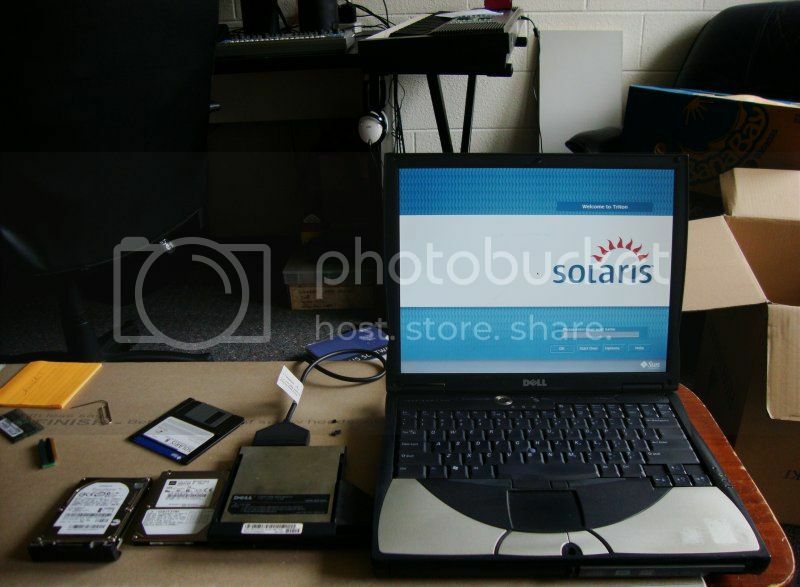 Whole suite of legacy ports including DB9 serial, DB25 parallel, VGA, composite/S-video, audio in/out, 2xPCMCIA, PS/2 keyboard & mouse, and one single USB 1.1 port. Can also connect to a docking station. There's no sound card support under DOS, but the PC speaker works fine. :p You could also build a classic parallel port DAC which is what I was going to do but never got around to. The system battery doesn't charge anymore but it runs with the AC adapter. I will probably start at $40 on Trademe, but if a forum member here wants to make me a reasonable offer it's yours. Edit: I could also install AmigaOS (well, AROS / IcarOS) or (ick!) winxp if you like.